Chipotle is almost always busy. With such a high-traffic space, durable material is needed to withstand the abuse that comes with it. Richlite paper composite panels are a sustainable and extremely durable solution for high-volume environments. With a "Living Finish," these panels will wear-in over time, showing a beautiful patina left behind from customers past. 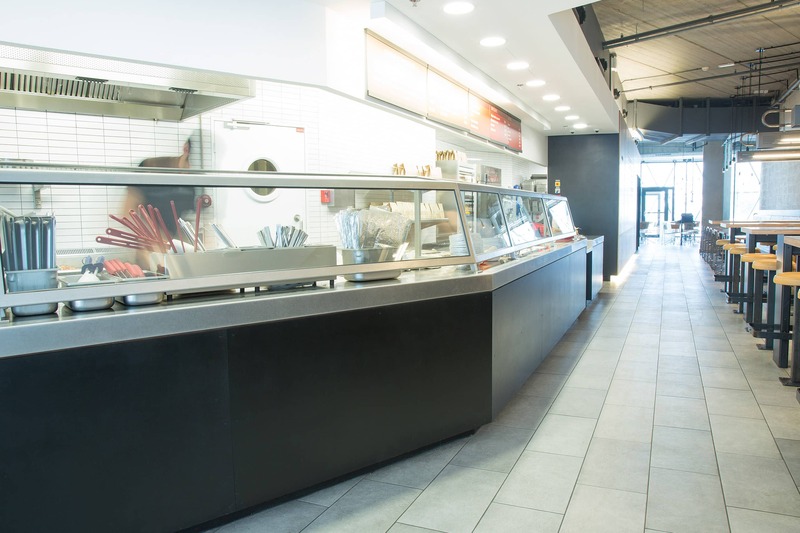 Richlite Black Diamond is used for wainscot and various mill work around each location, most notably, the serving counter. At certain locations, Richlite Maple Valley (r50) is used for chair seats and backs. 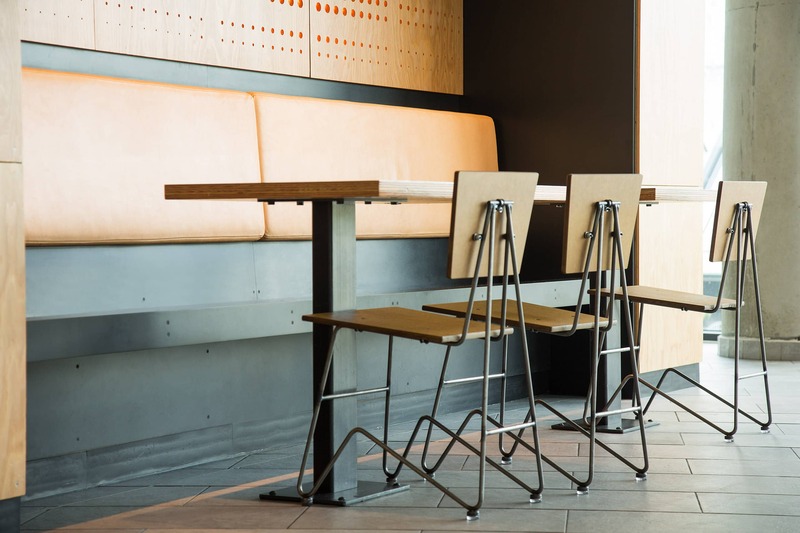 Our sister company, EcoCuts, provided the value-added service of cutting and machining the wainscot panels to spec for many Chipotle locations. Richlite is an FSC® certified product, made from post-consumer recycled paper. Sheets of paper are stacked up and saturated with a phenolic resin, then heat and pressure are applied. The resin then thermo-sets permanently with zero off-gassing. Use of Richlite in your project can contribute to several LEED® Credits.